Danielle Mercurio walks out on the stage as a living example of making your dreams come true. Within the first few minutes, the audience experiences a dynamic shift and inspiration that impacts the course of their lives. Danielle enriches her talks with story telling, a sense of humor, and impressive improvisation. She calls upon her own journey of self discovery and delivers deep truth in a relatable and unique way. Danielle’s presence leaves people feeling lighter and transformed, with the motivation to pursue their own dreams. Danielle will work with you to create a customized program for your group or event. Depending on your needs, a speaking engagement, workshop or program can be as short as 60-90 minutes to a full day session or weekend retreat. "Working with Danielle to create an out of the box, short timeline and resourced experience was an absolute adventure. Danielle absolutely embodies what living as a yes can look and feel like. Connection and brainstorming was easy and open. Never did I feel like she or I were attached to any specific way of doing things… I was happy to essentially hand her the reins and be her support for a vision I had dreamed up because I knew she got it, she got me… all in about 15 minutes over the phone on opposite coasts of the US. What I loved about Danielle’s execution was she kept a conversation that can be very new or even scary to some, light and easy to digest. We knew our group of 300 would be varied in meditation experience and I can definitely say everyone left with something moving and new. She was relatable and funny, yet landed key points … all while holding space for these 300 people she’d never met 300 feet underground. 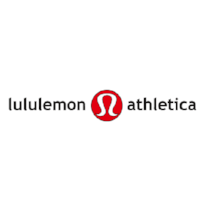 She blew us away and I know lululemon would love to collaborate with her again anytime." "Danielle Mercurio is a f**king genius with the microphone." "The guidance I received from Danielle personally was the same guidance I KNEW I wanted the women attending my conference to hear. I have never heard another human give such relatable info on how to love yourself and fulfill your true purpose. Each person in the room left transformed and moved by Danielle's speech + guided meditations. She has such a way of easing you into the release and surrender needed to continue your journey. I cannot remember the last time I felt so perfect in my own skin, and to give that to a room full of women was all I could ask for."